The next chapter for the PC. Put more possibilities in your hand. 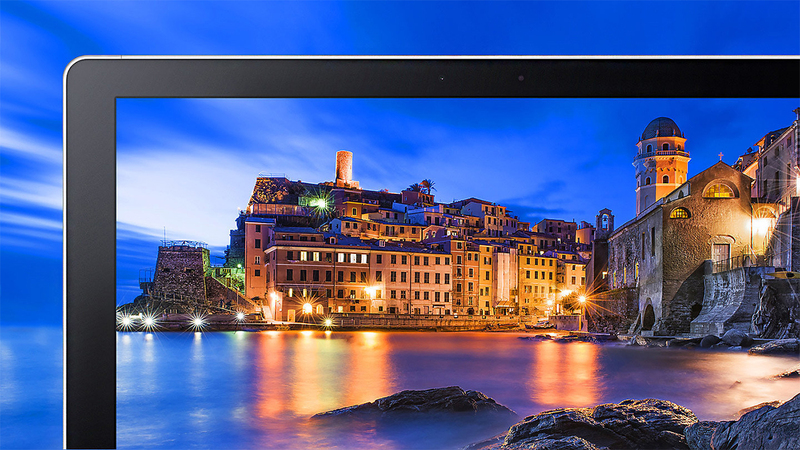 Experience our thin and light tablet. A tablet for everyday and everything. Juggling lots of tasks on the go? 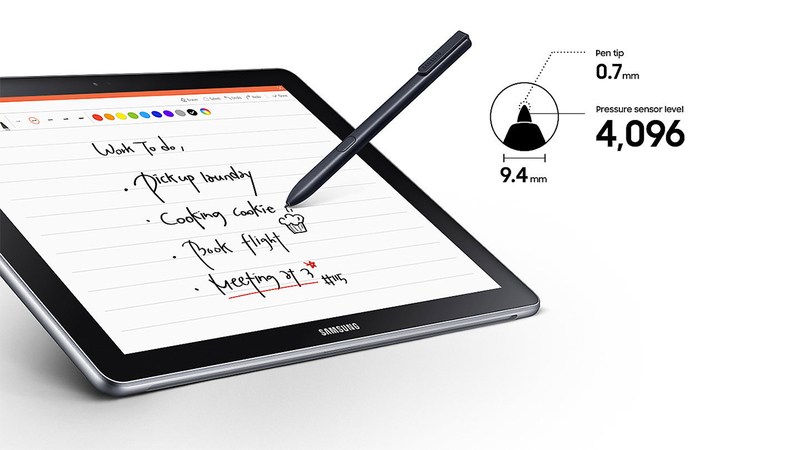 The mighty Galaxy Book lets you be productive and multi-task anywhere. 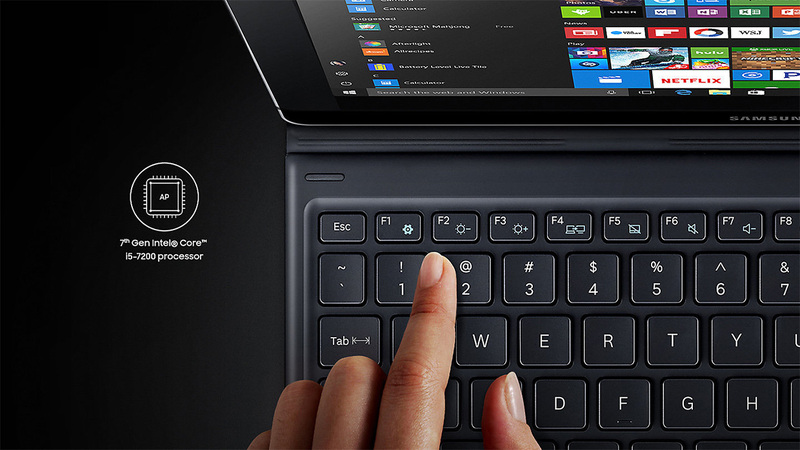 With a 7th generation Intel® Core™ processor, Windows 10 pre-installed and an in-box Island Type keyboard it has all the power you need to easily switch between apps, documents and more. *10.6 inch model equipped with 7th Gen Intel® Core™ m3 processor. *12 inch model equipped with 7th Gen Intel® Core™ i5-7200 processor. 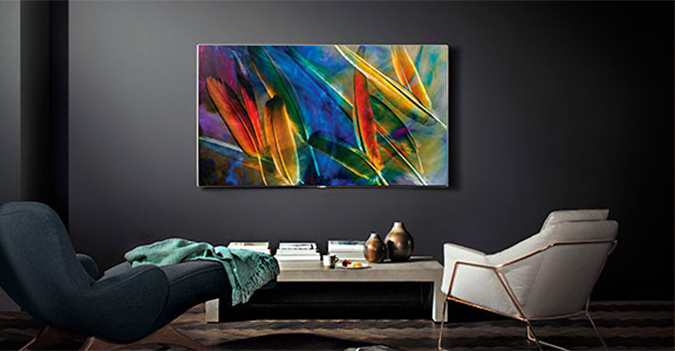 Whether you're working on a presentation, watching that new series, or smashing your leaderboard – all your content is brilliantly brought to life on either a super 12" sAMOLED display or 10.6" FHD TFT display. And with the Galaxy Book 12" you can fully immerse yourself in HDR videos with stunning detail and true-to-life colours. No more lugging a heavy laptop around. The Galaxy Book’s super slim, lightweight and portable design makes it the perfect go-anywhere device – lectures, business trips, the office – keeping you ahead of the game. 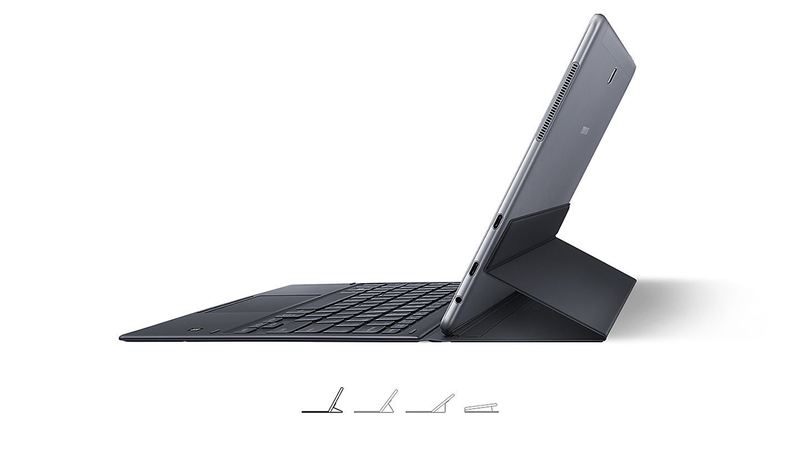 However you like to work, the Galaxy Book has it covered, with 3 adjustable angles on the 10.6" model and 4 on the 12". Use your laptop in PC Mode, tilt it as an easel in Easel Mode when the inspiration is flowing, or fold it in half to Note Mode. The new in-box S Pen opens up a world of possibilities. With better sensitivity and a more comfortable grip than ever, it feels very natural to use. The fine pen tip (0.7mm) is just as accurate as using a real pen. And because it doesn’t need charging, you can freely use it everywhere. No need to panic about losing battery while sending that all-important email or file. 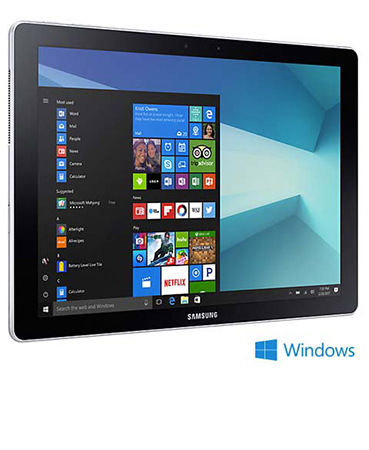 The Galaxy Book has a super long-lasting battery that gives around 11 hours* of continuous use. So whatever you’re doing, you can enjoy it without any disruption. * 10.6 inch model grants approximately 9 hours. 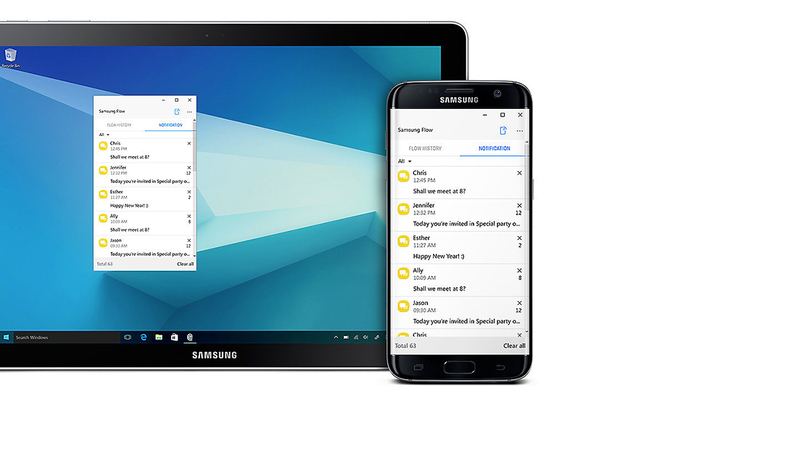 Imagine starting something on your smartphone, then pausing and picking it up again from the same place in your Galaxy Book? Well, say hello to Samsung Flow. It’s ideal for reading documents between meetings, and also makes it easy to forward calls and transfer files between your devices. Make sure you're always connected with the Galaxy Book WiFi model. 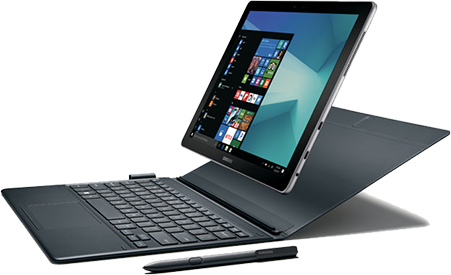 SHOP GALAXY BOOK WIFI 12.0"
SHOP GALAXY BOOK WIFI 10.6"
Discover a world of Samsung mobile devices, TVs, appliances and more.